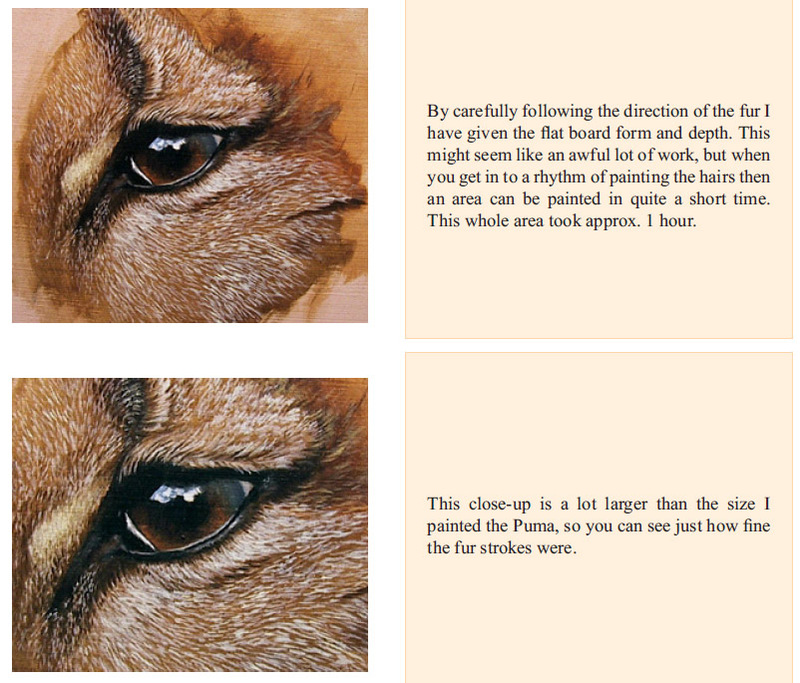 Its full of EVERYTHING you need to know to be able to confidently Paint Fur today! The question I get asked more than any other by beginners is “How to paint thin lines for fur etc”. 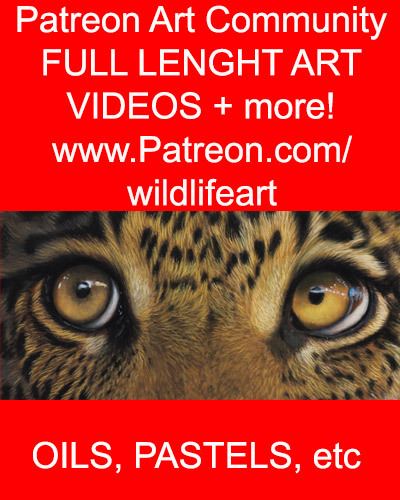 So I thought it might be of use to post a page from my wildlife art ebooks here, just to explain how I get around the problem. 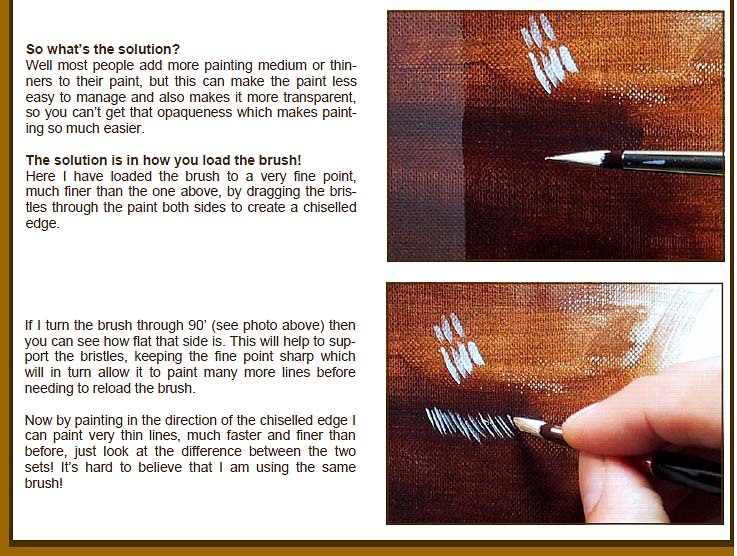 Where I find most beginners go wrong is that they immediately think that to paint fine lines they need to either use a very small brush, or something like a rigger and they also think they will need to thin the paint down with medium almost to a water consistency. Both these ways have dissadvantages though (IMHO). 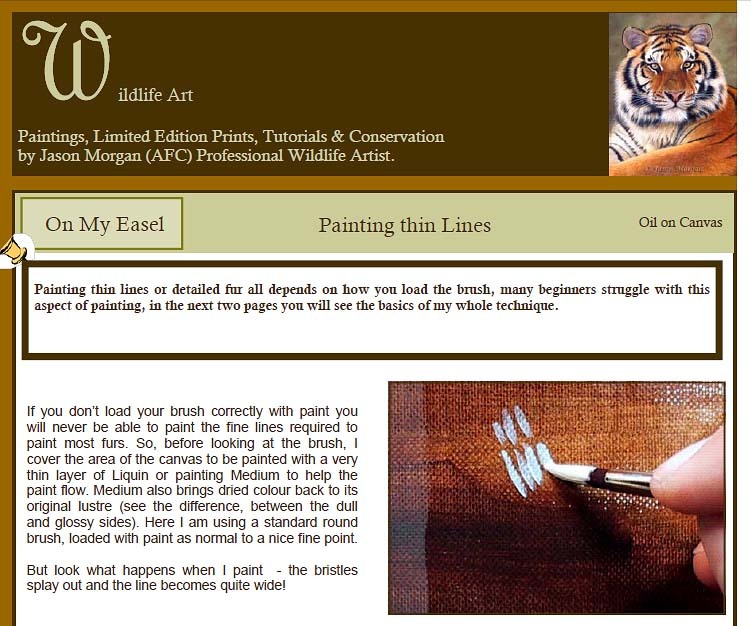 By using a tiny brush you will only get 1 or 2 strokes before you will need to load up the brush again, and when you consider how many hairs need to be painted on the usual wildlife painting, that is going to be a problem – big time. By thinning the paint down lots with medium the paint become transparent or semi transparent, which usually means that the paint hardly shows up etc. Don’t get me wrong, I also use a rigger, but that is usually reserved for the final hair details or for very long fur strokes. Hope some find this of use. 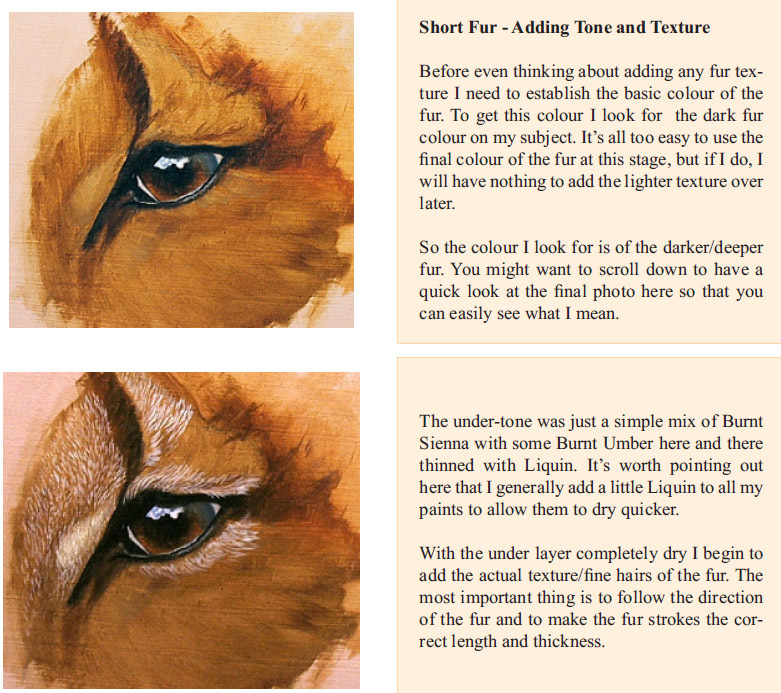 I’ve been asked about painting fur lots of times, and I thought it might be useful to start a new post and show another example. 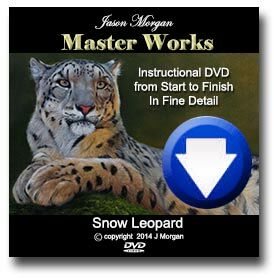 I took this one from my Learn to Paint wildlife in oils ebook, but there are other examples on my other ebooks too. 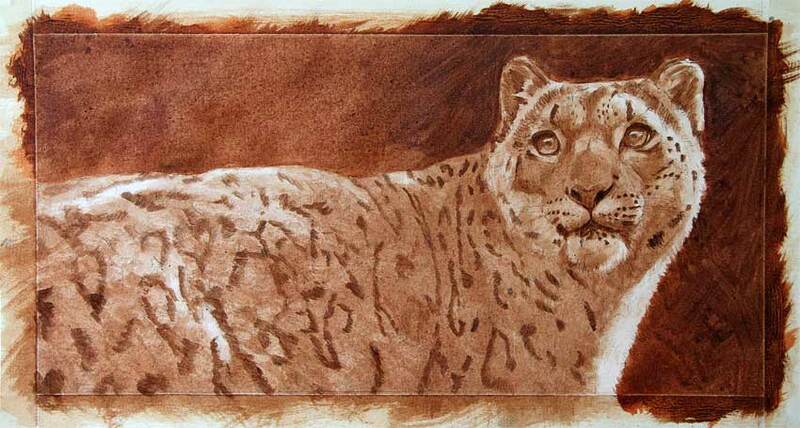 Here I have continued to work on the tiger painting. I have only used 2 or 3 different brushes on the painting so far, there really is only the suggestion of detail so far. By painting in the black stripes 1st I won’t lose them later during the blocking in stages.